Creator: N\A Origin: Japan Session: Meiji period, half 19th century. 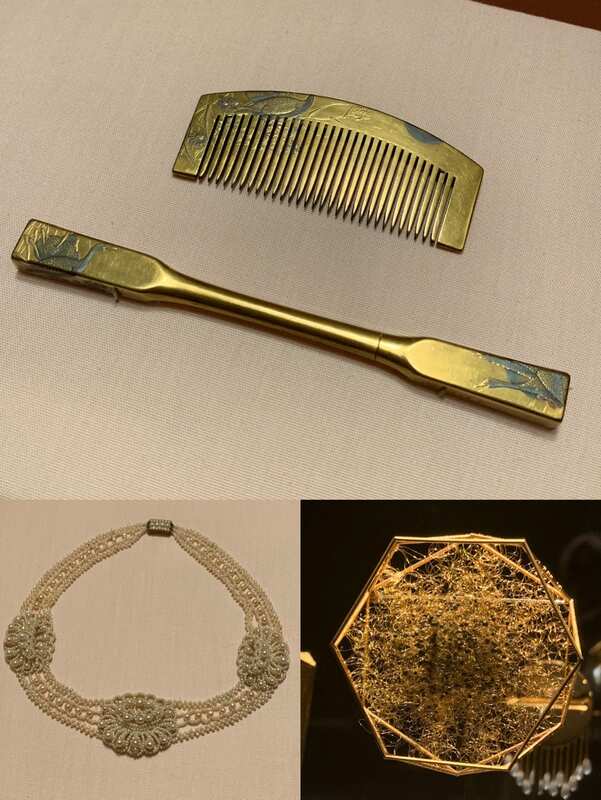 This comb and hairpin set are crafting in typical Asian’s aesthetic form. Although the creator gilded the wooden pieces with true gold, the design and final look of this parure is more understated and quiet compared with the other golden jewelry from other regions around the world. The phoenix pattern on the set was a significate symbol of special status and royalty. This is a short elegant pearl necklace that it is so delicate and well-crafted like a piece of lace. It has a similar length to a chocker, which suggest a sense of a meek lady in the 90s. The repetitive flower motifs somehow reflect the maximalist in style during that period of time. Creator: Tiffany & CO. Origin: New York Session: 1868. This Brooch was designed to commemorate the death of Cornelia Ray Hamilton. The special thing about this jewelry is that it uses real hair as part of the materials in the center of the Brooch. The geometric design used in the frame suggests a sense of intelligence and maturity. Since it is a memorial creation, I guess if these are the characters of Mrs. Hamilton that the creator tries to reveal and convey to the viewers. 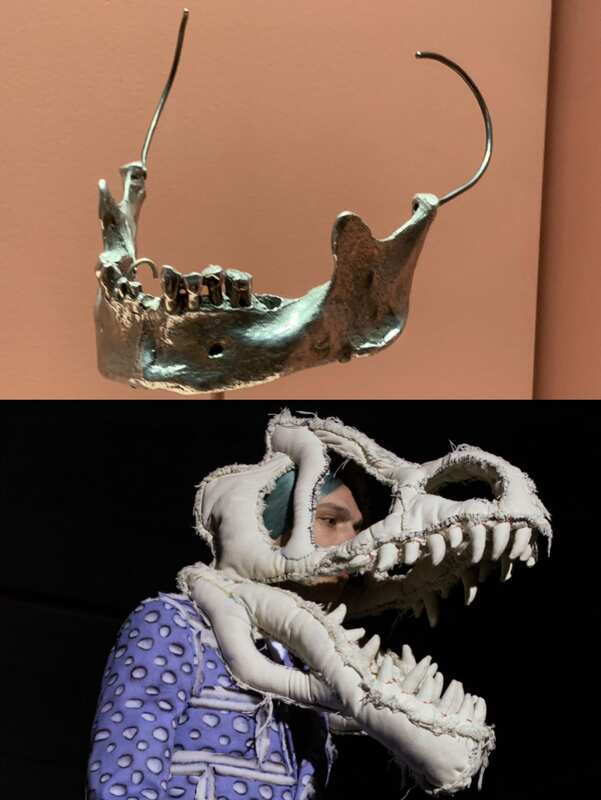 The two works I found in comparison respectfully from and out of the exhibition were the Jaw-piece created by Shaun Leane for Alexander McQueen and the Dinosaur headpieces by Shimoda Masakatsu for Comme des Garçons Homme Plus AW18 show. The similarities between these two items are that they are both facial accessories design for a fashion brand and have a skeleton element in their form. However, the material chooses the sizes the designers constructed are very different so they end up having completely distinct textures and visual effects.